When it’s finally, finally Big Boy Season. Every sports league is too long, but each is too long in its own specific way. The NFL’s mirrors the sport’s true nature as a weekly television show; Major League Baseball can make a half-convincing case for those multiple months of deeply meaningless games in its middle as part of its broader summery essence; the NHL season only ever even ends for like 18 days. The NBA season is also punishingly and gratuitously overlong, but it has an innovation that no other league has yet devised: a little more than a third of the way through the season, after months of insignificant games played in Energy Saver Mode, the NBA stages an unofficial second opening day on December 25. 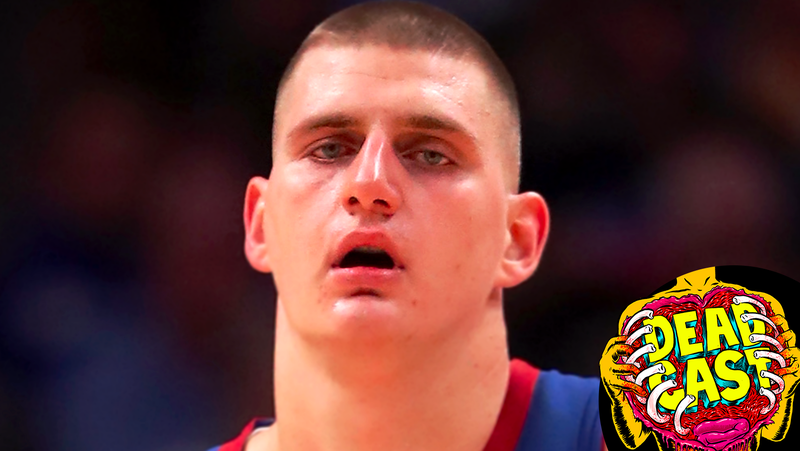 In preparation of this annual celebration honoring the mild and forbearing man that so many see as a divine messenger of love—a day that happens also to be of great significance to people who have not chosen Nikola Jokic as their personal lord and savior—Tim Marchman and Lauren Theisen and I looked ahead to the unofficial grand re-opening of the NBA season. That’s not all. There was also a brief and shockingly partisan discussion of college basketball, with a special emphasis on the University of Michigan’s Lithuanio-Canadian heartthrob of the moment, a less heated but more querulous discussion of a dog I saw being carried in a non-traditional way, and an assessment of those infomercials that colleges run for themselves during basketball games. And then it was time for another high-stakes foray into the Funbag. That, too, somehow wound up coming out with a Michigan accent—this is entirely Lauren’s fault, and she would surely cheerfully agree with that assessment before delighting you with the observation that her home state looks like a mitten—although our investigation of which Christmas songs Trump has heard and how he might feel about Mariah Carey is horrifying in more universal ways. Whatever you’re celebrating and however you’re celebrating it, we hope you get everything you want on December 25. Although we would like a word with whoever it was that asked for the Utah Jazz to be on TV. Some people are trying to have a religious experience, here, and there’s no need to bring Joe Ingles into all that. You can also listen at iHeart Radio, Stitcher, Spotify, NPR One, Apple Podcasts, or GooglePlay. And don’t forget to email us tips and/or general complaints at deadcast@deadspin.com. Have fun out there.